How AdderRx Works: Get The Edge! 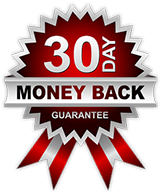 An incredible amount of research and development has gone into the precise formulation of AdderRx to make it the safest and most effective product available today and an extremely potent over the counter alternative to adderall and adhd medications. We completed painstaking research and development, countless testing and reformulation, product refinements and internal sensory and beta testing to ensure that AdderRx is the most powerful cognitive-enhancing energy and focus product available. There is a clinically-proven precise blend of stimulants in AdderRx. 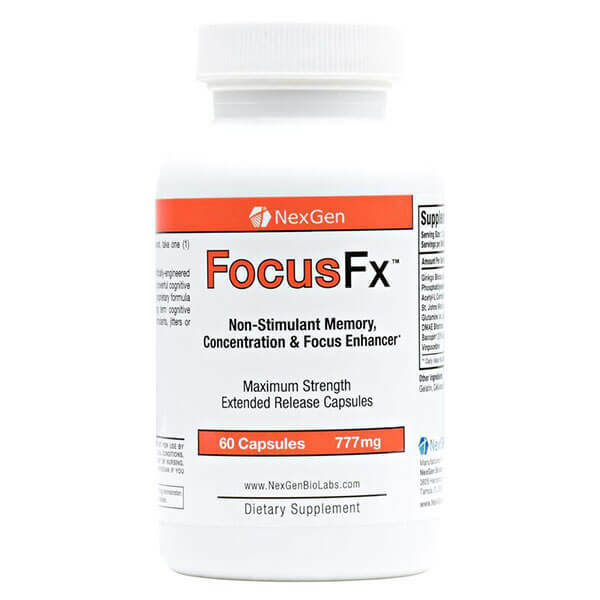 These stimulants prolong energy, focus and concentration. Each of the stimulants help improve mental clarity, energy, cognitive function, alertness, endurance, focus, and stamina and allow you to better complete complex tasks, including writing and studying. The stimulants in Nexgen Biolabs AdderRx have a chemical structure similar to the naturally occurring adrenaline and noradrenaline that is produced by the body and are blended in precise, synergistic amounts to act upon the central nervous system; allowing you to perform at your very best. Your thoughts, memories, perceptions, moods and feelings are all dependent upon neurotransmitters. Neurotransmitters are your brain’s chemical messengers that make focus, moods, memories and mental performance possible. When key neurotransmitters, such as acetylcholine, are low, your brain suffers. Your thoughts get cloudy, your focus fuzzy, and your memory forgetful. AdderRx increases the brain’s production of acetylcholine, which enhances your brain functions such as memory, learning, concentration, intellectual function and attention. AdderRx is extremely effective in enhancing brain function, and key ingredients in AdderRx have been used successfully in working memory performance. To maintain optimum brain health, your brain needs a balanced supply of the four essential elements, hydrogen, oxygen, carbon and nitrogen. AdderRx facilitates the delivery of these elements to your brain principally by facilitating cerebral metabolism and improving blood flow in the brain. It works by causing mild dilation of blood vessels, thereby allowing for increased cerebral blood flow, which results in increased oxygenation and glucose utilization. The brain image on the right is an illustration of the dramatic increase in brain blood flow and the metabolic activity (brain energy) induced by a single dose of AdderRx. One important way that AdderRx enhances cognition is by cleansing the brain of lipofuscin–a fatty material that interferes with the brain’s synapses. Lipofuscin prevents synapses from releasing neurotransmitters that enable the communication of information among nerve cells. Lipofuscin is a product of the buildup of free radicals. AdderRx drastically reduces these free radicals, allowing your brain synapses to communicate more easily and resulting in increased mental clarity and cognition. AdderRx can increase the flow of information across the corpus callosum, the set of fibers that connects the right and left hemispheres. Its key ingredients have been shown in university studies to improve the integration of information processing, attention span and concentration. It acts to step up the production of ATP and improved cerebral microcirculation (blood flow). Increasing the flow of information between brain hemispheres will significantly improve cognition, memory and all learning skills. AdderRx is the most powerful cognitive-enhancing energy and focus product available! Don’t get left behind, get the competitive edge in school or the workplace, and try AdderRx today!